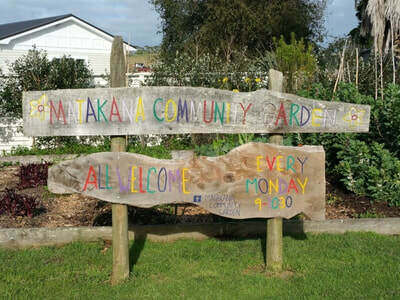 The Community garden is found beside the Matakana Hall. Formerly a waste area it has been transformed into a beautiful and productive vegetable garden developed along organic principles. It is a space to come and grow produce, learn new gardening skills to use at home and meet like minded people. 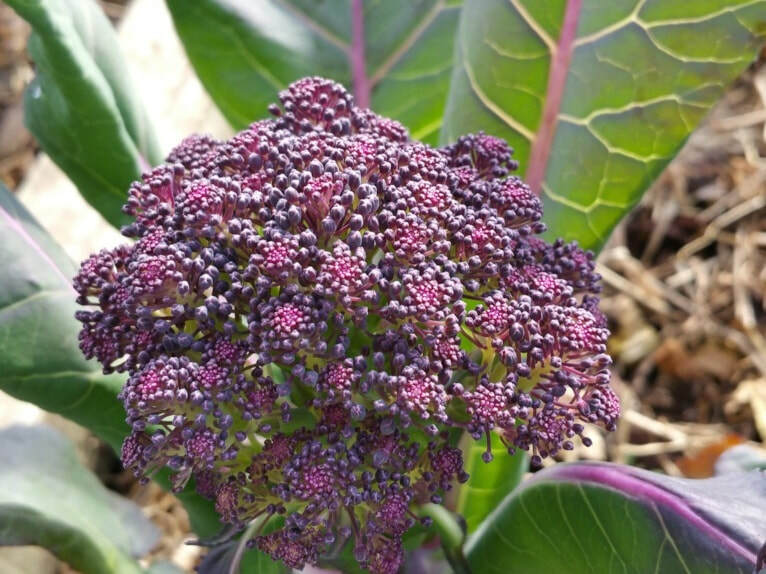 We meet every Monday morning, from 9am until 10.30am, at the garden, to tend, plant and harvest our produce. Come along with your spare produce and swap it for something you want! 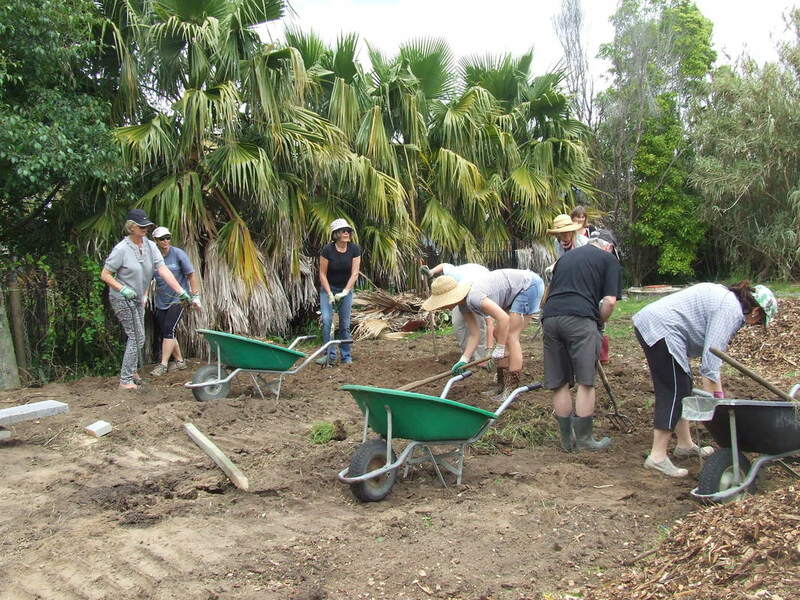 Next Friday - last Friday of the month - 26th April - Home Garden Visit at Janis and John's at 12,Tamahunga Drive, Matakana. 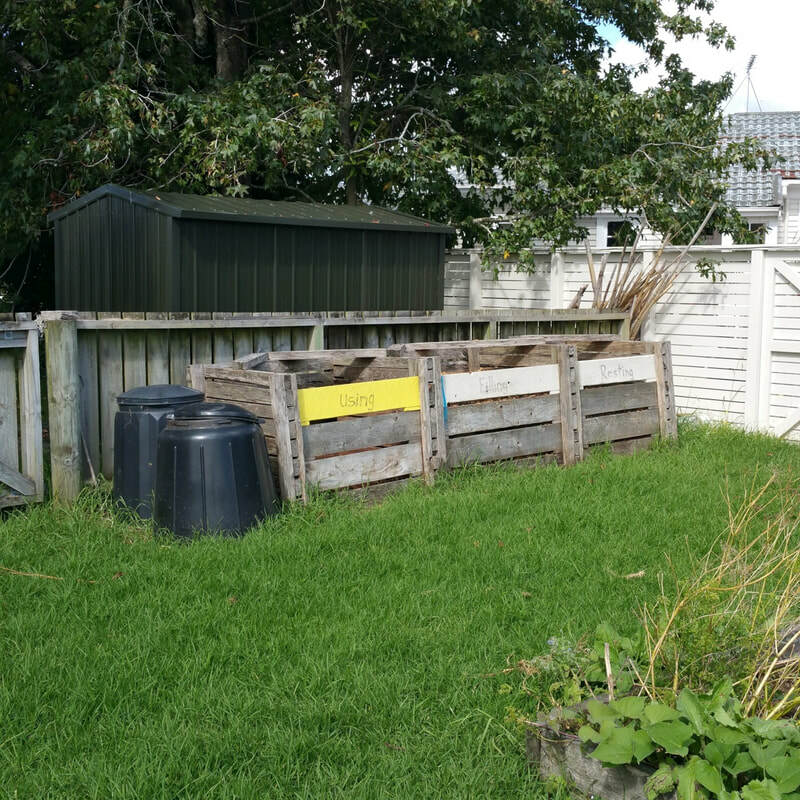 As we will then be post Easter we will start fortnightly Greenswaps as it is getting colder and people's gardens aren't quite so lush. 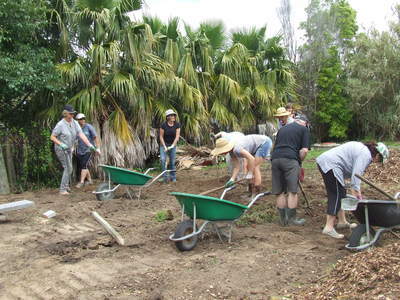 The next Greenswap then will be a fortnight later on Friday May 10th, at 9am at the Matakana Wharf as usual. A fortnight later, will be back at the wharf on Friday May 24th, at 9am at the Matakana Wharf as usual. 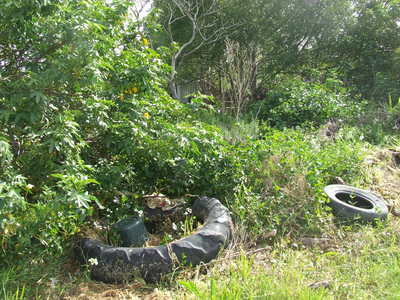 The last Friday of the month will be Friday May 31st and it will will be another home garden visit, this time at the home of Rachael Demler. The June visit will be at Kurt Dammers. BOTH of these visits will need to be confirmed closer to the time. The vision of Robyn Barclay and Trish Allen was turned into reality on Sunday November 25th 2012 when a small army of volunteers turned up to turn a piece of unused and rubbish strewn land into the makings of a community garden next to the hall in the centre of the village. .
A skip full of rubbish including old tyres, glass, plastic and steel was collected and disposed of and the garden beds were formed and sheet-mulched with newspaper and cardboard. 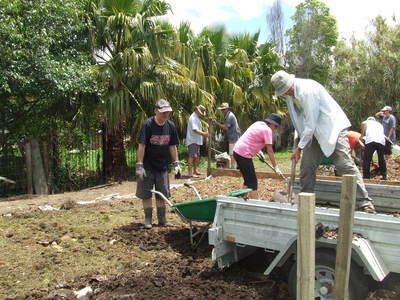 This was topped with a mix of compost, horse and donkey manure, grass clippings and wood chips. Fantastic stuff for the first pumpkins to grow in. 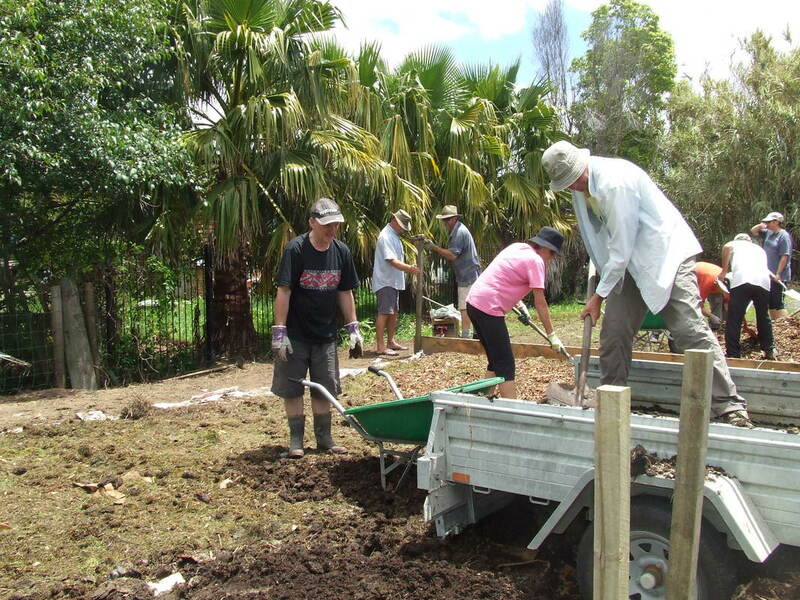 Compost bins were built and a water tank stand was erected. About 100 pumpkins of all shapes and sizes were harvested the following March. 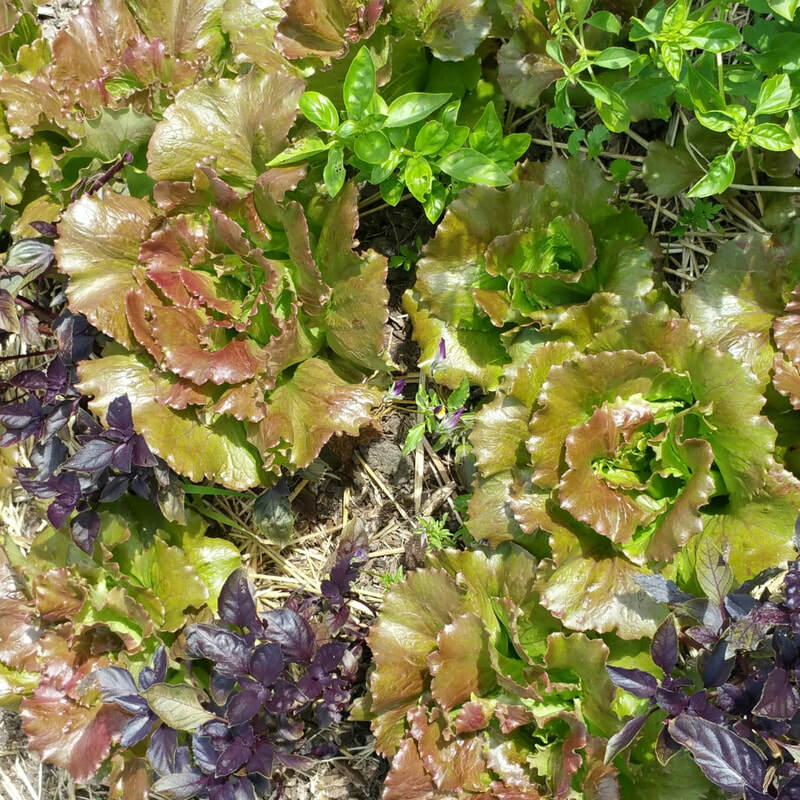 A great first harvest. Lauraine Jacobs, well known Food Columnist and writer used some of the pumpkins in a cooking demonstration with children at Matakana Primary School. The delicious pumpkin lasagne and pumpkin pikelets were a great hit with the kids! 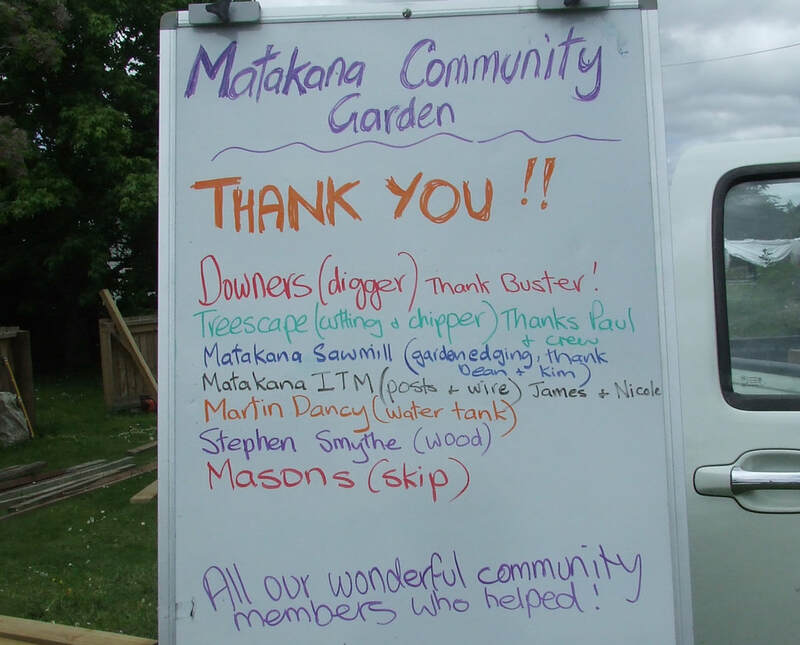 After some of the pumpkins had been distributed, the rest were sold by Matakana School children at the Farmers Market the following Saturday to raise money for developing the garden and purchasing fruit trees. Later, about 30 Year4 Matakana School children visited Community Garden to hear a talk by Trish Allen about the benefits of community gardens, soil, composting and worm bins. The children were amazed at the variety and number of pumpkins in the garden.